Students will be taken through upbeat choreography that encompasses jazz, modern, and hip hop styles, while having a fantastic dance party! Students also have to option to work on their fitness level with Aerobics and yoga. These classes will integrate an appreciation of all styles of technique and movement. With a special focus on choreography, these classes are offered for teens & adults. Everyone loves these courses as they are one fun dance party! Hip Hop Dance goes back 20 years and was developed from Jazz, fusion, pop, and street dance. Today Hip Hop is a fun, modern dance of creative movement. Professional dancer Amy Fulgham will take you through upbeat choreography that teaches all the latest moves while having a fantastic dance party! 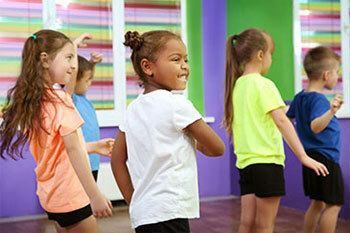 We teach the most popular Hip Hop dance styles found in today’s culture. This class provides a student the foundation to develop one’s unique style and moves. That’s Hip Hop! Our aerobic dancing involves exercise put to music in a fun way. Health & fitness expert Amy Fulgham will lead students through the workouts providing effective, fun, and easy-to-follow steps. These fun and sensible routines feature breathing exercises, a warm-up, aerobic routines and a cool-down. Kids won’t even realize they’re doing aerobics as they dance and move to the music.